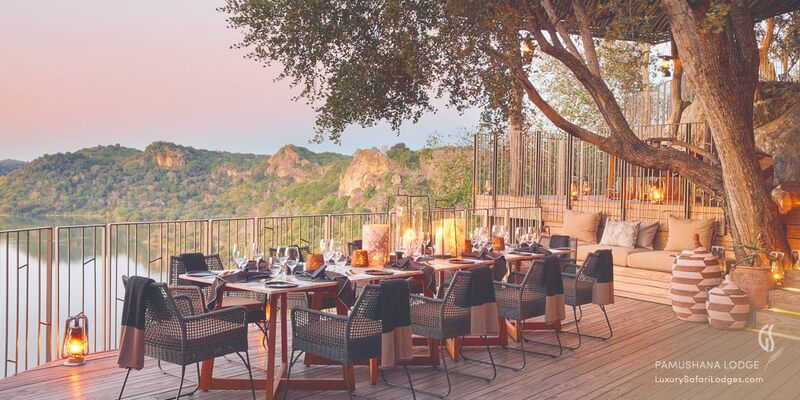 Nestled beneath trees on a rocky promontory, Singita Pamushana Lodge's six intimate villas offer panoramic views of the lake below. 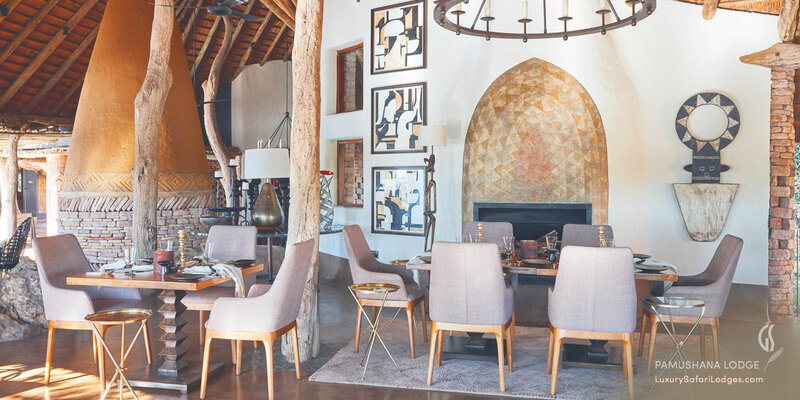 Your stay at Singita Pamushana also offers you the opportunity to visit some of the one hundred rock art sites dating back more than two thousand years. 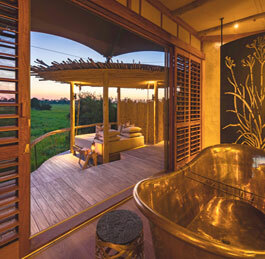 Singita Pamushana Lodge is located within the Malilangwe Wildlife Reserve in Zimbabwe. Famous for its Mopane forests and majestic African Baobab, the reserve offers one of the most unique opportunities to view rare Black Rhino, Wild Dog, Roan antelope and Sable. 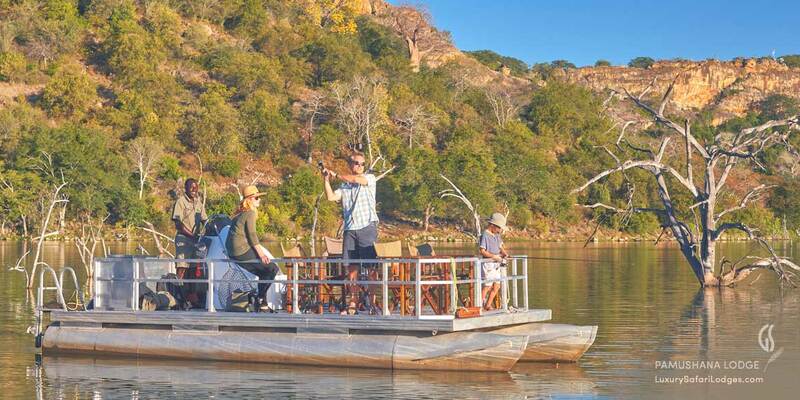 the private 130,000 Malilangwe reserve offers rare wildlife. 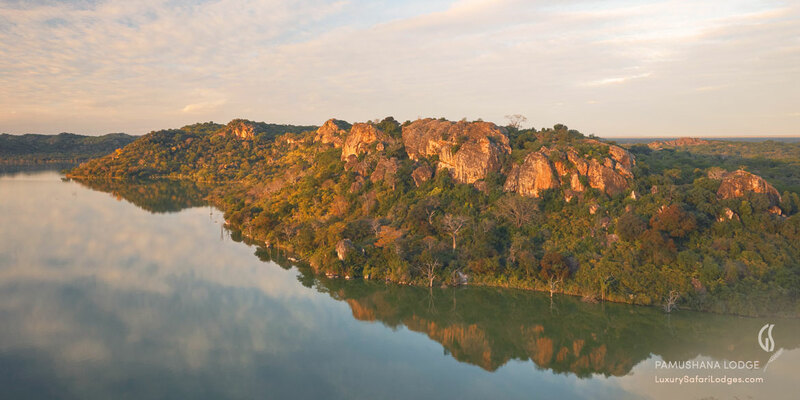 An extraordinary wilderness area next to the Gonarezhou national park in southeastern Zimbabwe, the Private Malilangwe Reserve is an incredibly vast conservation model supported by Singita Pamushana Lodge (the single largest private donor investment in the country). 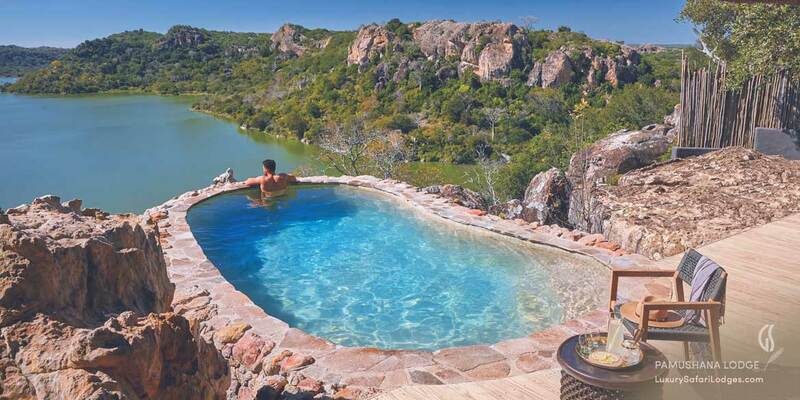 This 130,000-acre private reserve is exclusively for the enjoyment of guests at Pamushana Lodge. In the preservation of the wildlife and the land's local culture, guests are enabled to take an active role in experiencing and playing steward to this most special place. 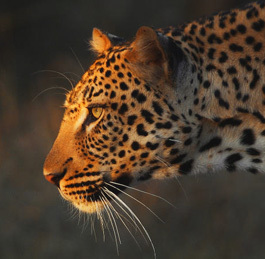 Professionally guided game drives with top resident rangers and game trackers provide opportunity to come close to a great number of animals including big cats such Black maned lions, cheetah and leopard, both species of White and Black Rhino, rare Lichtenstein hartebeest and Sable, African wild dog, and an abundance of bird life with over 400 species spotted. At nighttime special spot lit drives reveal the nocturnal life of even more elusive wildlife species. 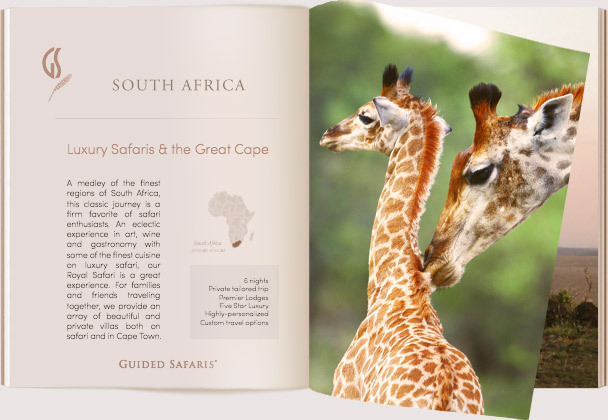 All game drives occur in custom-designed state-of-the-art Land Cruisers with the finest Singita-trained guides. Game walks are also offered in this astoundingly beautiful landscape to track wildlife on foot. Mountain biking through the reserve with your guide offers an upclose and personal interaction with the natural environment. Fun activities to be enjoyed by those priviledged to take off more than a handful of nights, include Tennis (2 tennis courts: clay and Rebound Ace), morning Archery lessons, and for golfers - a 45-minute excursion to nearby lush 9-hole courses. Unbelievable Stargazing in endlessly-deep, light-pollution free skies with astronomy guides is also offered. At Pamushana visitors can track both species of remaining African Rhino: In addition to White Rhino, you can see Black Rhino - one of the most difficult-to-find species in Africa with very few individuals remaining in the wild. Since 1998, the Black Rhino rehabilitation program at Malilangwe has been most successful in establishing stronger rhino populations within a safe habitat. In June of 2015, 10 rhino were also relocated from this group to Botswana in protected habitats. Your visit here supports the not-for-profit Malilangwe Wildlife Trust: In addition to the care of the wilderness, the Pamushana model also feeds 19,000 children in Zimbabwe every single day and offers core community development with educational and longterm vocational undertakings. Further empowerment for the impoverished communities also ensures health care and irrigation schemes for agriculture, to grow food and offer provision for boreholes. Enjoy a quiet Sunset Cruise to take in the beauty of the region - or try your hand at Game Fishing at the bountiful lake brimming year-round with Bass, Tilapia, Tiger Fish & Catfish. Your tracker will also be at hand to offer delightful insights on how the local bush community use plants to fish. All around you’ll enjoy dramatic hilltop views of the remote wilderness and lake - even from the exclusivity of your suite's very own private pool. 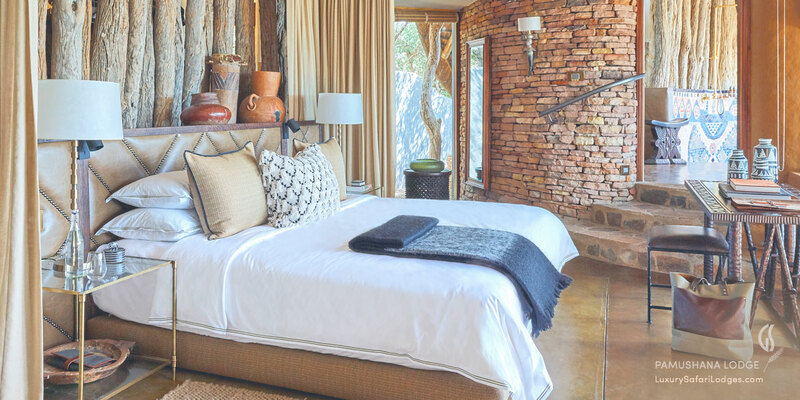 Vibrant and colorful suites with handmade Shangaan fabrics and artifacts crafted by the community lend a bold ethnic influence in this calming retreat away from it all in remote Zimbabwe. 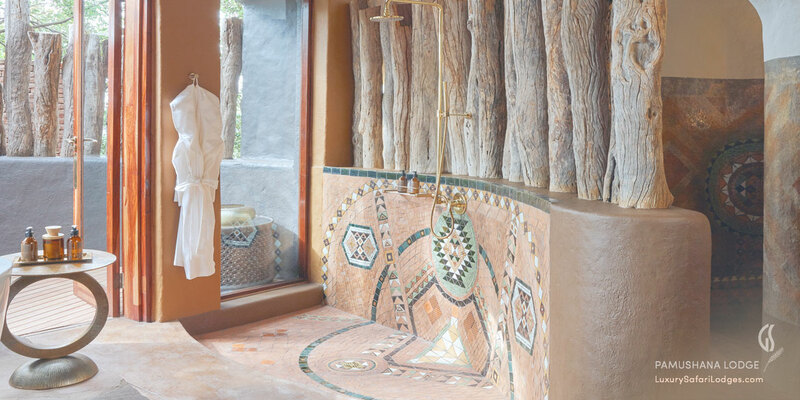 After the day's exhilarating safari adventures take a restorative break at the spa. 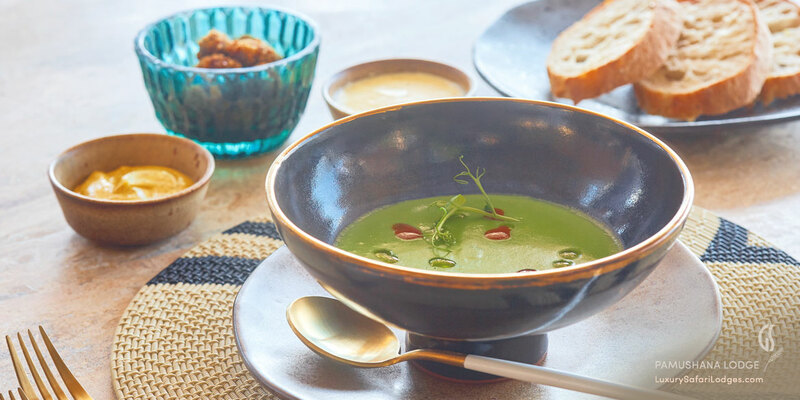 Gourmet international cuisine with fine wines is inclusive of your stay from the award-winning Singita cellars. 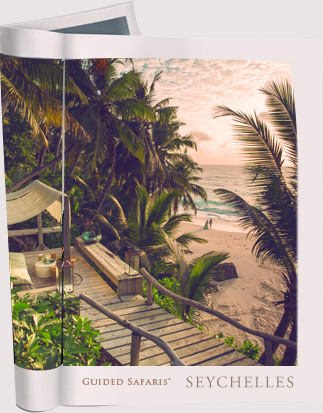 One 5-bedroom Pamushana Private Villa Retreat with its very own private infinity pool with magnificent views. You’ll see lots of Shangaan influence in the design and beautiful colors; the bright reds, blues and jewel tones that we’ve taken to a level of luxury. 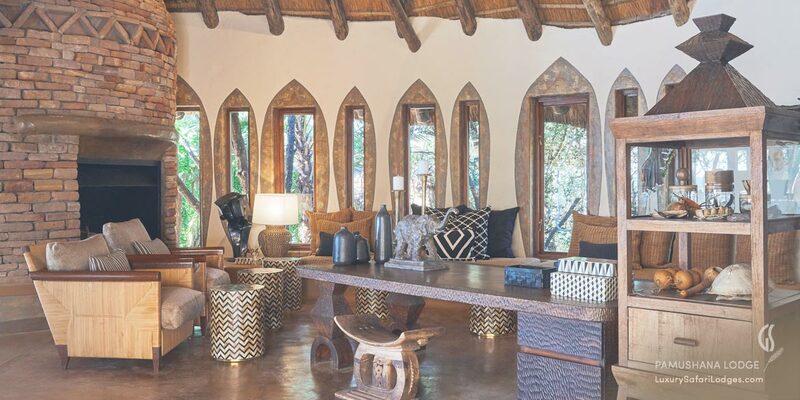 The lodge is vibrant and colorful which is authentic to Zimbabwean culture, with staff inspiring guests to exude that same joyfulness in being here. 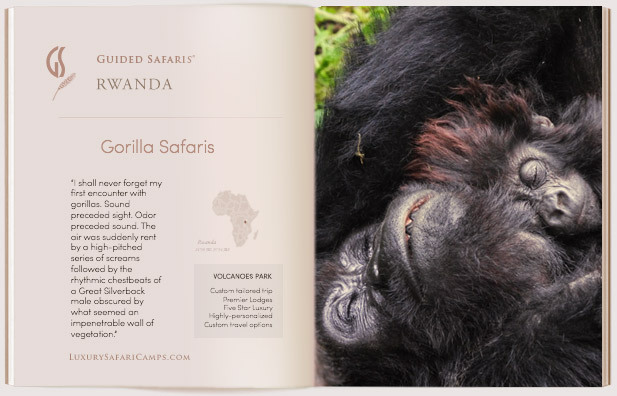 Includes all safaris, meals and drinks. Book our special packages and take advantage of great savings on the prices at Pamushana for a longer stay combining our lodges. • Visas are required for entry into Zimbabwe, may be obtainable on arrival at port of entry. 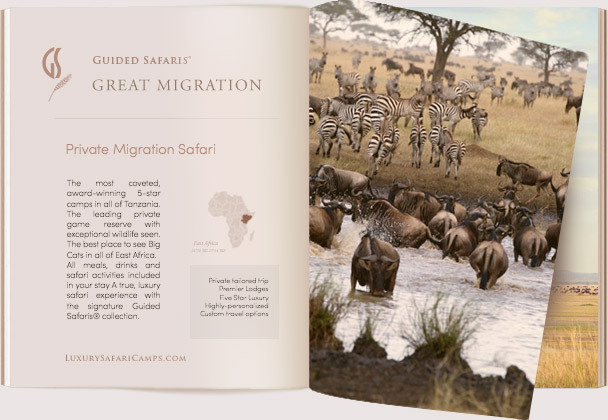 • No mandatory vaccinations required for entry into Zimbabwe, unless combining your safari with other African nations. 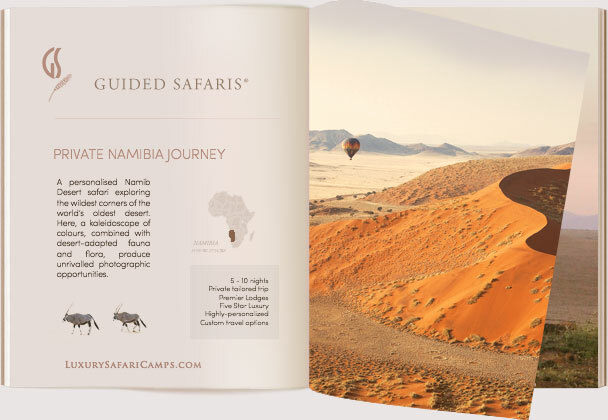 • No hidden planning fees and you NEVER travel as part of a “tour group” with Guided Safaris®. 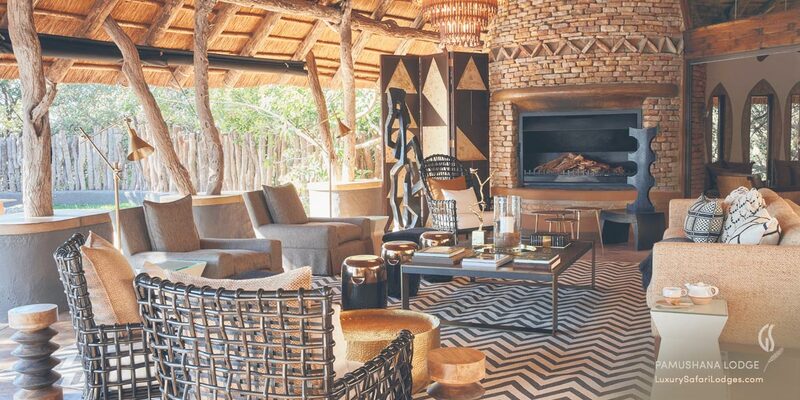 Flights to the remote and pristine Singita Malilangwe region depart on Mon and Thu. 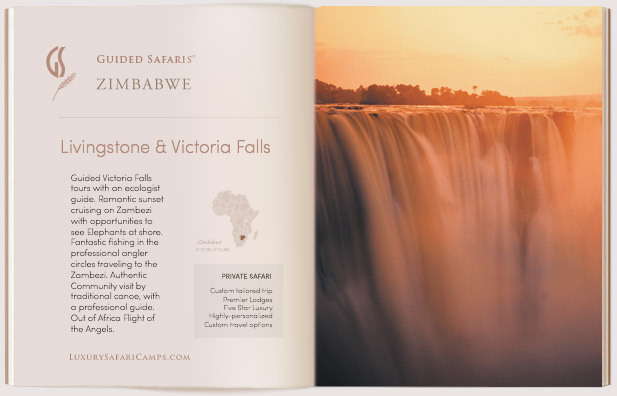 You depart for Zimbabwe at 1.15pm and on completion of stay, flights depart Zimbabwe at 4pm. Private air charters are possible, on special request. Luggage weight for safari flights: 44lbs per person, packed in a soft sided medium-sized duffel bag with no wheels. Suitcases and hard luggage not permitted. Given the ease of daily complimentary laundry service you do not need to pack much. Our camps are informal and guests are requested to dress comfortably for the season and adventure ahead. 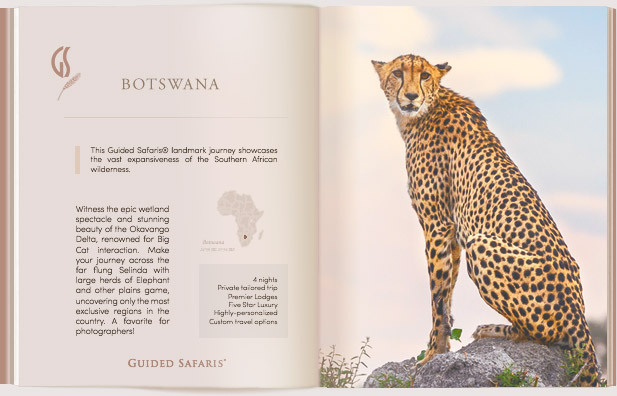 A Complete Safari Packing List will be provided with your Guided Safaris® travel confirmation when purchasing our packages. *Priced for minimum 6 persons and designed to accommodate up to 10 persons, at extra cost per added guest per night (*7th person and up charged extra). All rooms with private deck area and private pool.